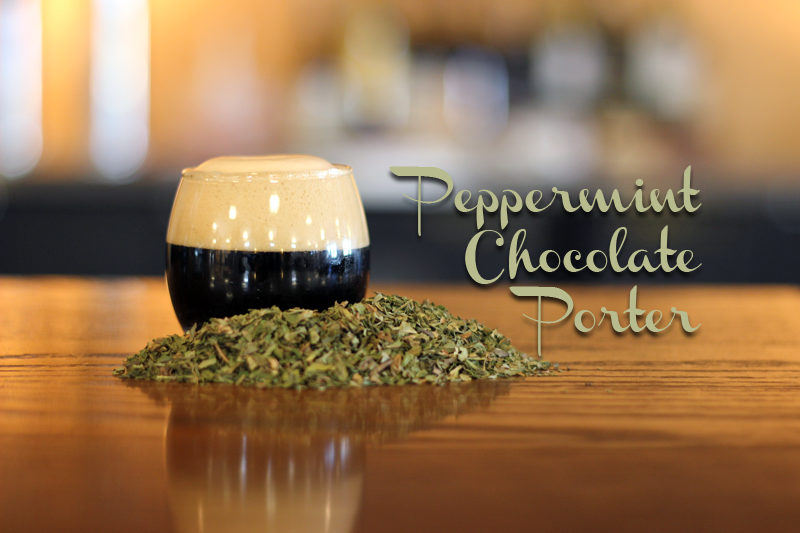 TAMPA, FL — This Saturday night at 6p Southern Brewing & Winemaking (Southern) will release its Peppermint Chocolate Porter, a robust porter treated with organic peppermint tea and organic roasted cacao nibs from Ecuador. This special edition tea beer was brewed on a very limited scale and is hitting the taproom this weekend in celebration of the winter holidays. For the brew, Southern chose an Organic Peppermint loose leaf tea from local teashop Kaleisia Tea Lounge. The tea gives the beer a refreshing mint punch without additional sweetness or syrupiness that a concentrate or candy might lend. It’s a healthy and natural flavor addition that doesn’t require recipe adjustments. “It’s very important to us that we only use natural ingredients in our beer, and organic tea fits in with that perfectly,” stated Brian Fenstermacher, owner of Southern Brewing. The idea was inspired by one of Lyons’ and co-worker Mary McKenzie’s seasonal Peppermint Chocolate Porter homebrews. Lyons and McKenzie are known in the local homebrewing community for their tea beers, but this will be the first time they’ve done the treatment commercially. This isn’t the first time Southern has used employee homebrews as inspiration for commercial beers. Their annual pumpkin spice beer, Gourds Gone Wild, was modeled after an award-winning homebrew from Southern brewer Rick Etshman. Tyler Singletary, another brewer at Southern, has had two of his homebrews brewed commercially for the taproom: Rysing Sun Rye Saison and the Toothless Brasser Irish Red Ale. The tea beer will be a limited release, with only one keg available in the taproom and no growler fills. Hot Box’d Steamed Cheeseburgers food truck will be onsite during the release and jazz musician Dean Johanesen will be playing an acoustic set in the beirgarten. For more information, reach out to Southern on their Facebook or Twitter or contact Cindy Lyons at marketing@southernbrewingwinemaking.com.